Bitcoin Press Release: Popular online marketplace Flubit.com has announced a sale, with 25% off every Item, including TVs, Laptops, Beauty items, Video Games and more. 14th February 2019, London, UK – Online global marketplace Flubit.com has announced that from today it is offering a huge sale, with 25% off all stock, worldwide. The digital retail giant already has over one million items listed at a cheaper price than its largest competitor, Amazon.co.uk, every week. Users of Flubit.com can now take advantage of the considerable discount when they pay with the sites MUE (MonetaryUnit) digital currency. “We have never before seen savings like this for online shoppers. Where else can you get significant savings on Amazon prices? 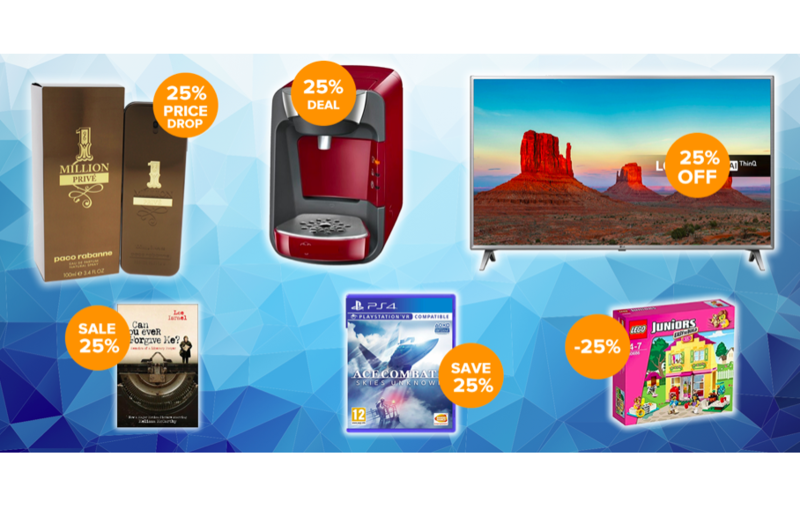 This “25% off” offer applies to all of the millions of items we sell; so you can save on the latest video games, laptops, perfumes, books, coffee machines, clothes and more. We believe this is set to disrupt online shopping and really bring into focus the huge benefits that can be realized when using digital currencies as a method of payment”. “Our mission is to show why digital currencies will benefit you; we believe offering these massive savings will be the breakthrough for mass adoption. What better way to do it than by creating the cheapest online marketplace in the world?”. Flubit.com expect that many of its shoppers will be unfamiliar with using digital currencies, so it has created a simple 3-step guide to allow shoppers to install the free MonetaryUnit digital wallet, top-up with MUE, and then place their orders as easily as they would with a debit or credit card. In addition to accepting the MUE digital currency, Flubit.com also accept payment in Bitcoin, Litecoin, and Ethereum. The marketplace is also strict on the sellers it accepts, only enabling verified merchants to sell through the platform. Launched in 2014, MonetaryUnit last year acquired the rights to operate the Flubit.com platform. This acquisition created the world’s largest cryptocurrency enabled marketplace in Flubit.com, and further work on past success looks to create major waves in the established model for traditional online shopping. Flubit.com as it continues to grow and develop. Flubit.com is the source of this content. Virtual currency is not legal tender, is not backed by the government, and accounts and value balances are not subject to consumer protections. This press release is for informational purposes only. The information does not constitute investment advice or an offer to invest. The post Flubit.com Announces 25% off all Stock in Massive Online Sale appeared first on Bitcoin PR Buzz.